A couple of weeks ago, I mentioned the Read-Aloud Revival, a podcast I have recently become addicted to. 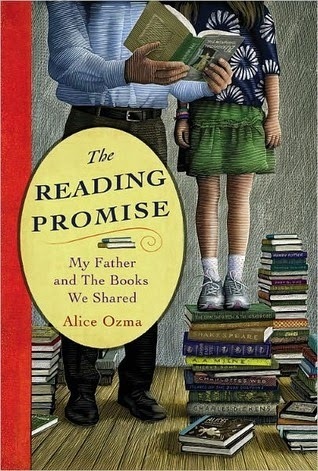 In one episode, Sarah Mackenzie talked to Alice Ozma, author of The Reading Promise (if you'd like to listen to the episode, which I highly recommend, click here). 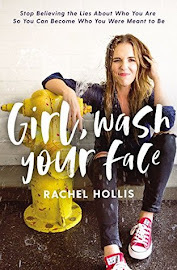 My ears perked up immediately because I recognized the title as being one that has been on my to-read list for a long time (and for the life of me, I can't remember how it got on there in the first place). After listening to the episode, it skyrocketed to the top of the list. Basically, Alice's story is this: When she was nine years old, her father asked her if she thought they could read aloud together for 100 days straight? He and Alice had been reading together every night for years, so they didn't necessarily need a personal competition to get them to continue this tradition. However, when Alice's older sister was relatively the same age, she had asked their dad to stop reading aloud to her because she thought it was babyish and she could read on her own. Their father was worried the same thing would happen with Alice, and so he turned it into something of a game to make the tradition last just a little longer. Well . . . 3,218 days later, The Streak (as it came to be known) finally ended. It was the day Alice's dad dropped her off at college. Through her parents' divorce, sick days, arguments, high school activities, and dates, Alice's dad read aloud to her every single night, and because of it, there developed a bond between them that lasted beyond their final day of reading aloud. 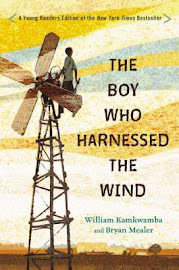 Okay, if I needed any more fuel for my passion of reading aloud, this was it. But first, I want to get a couple of nit-picky criticisms out of the way so I can gush for the rest of the review. First, there were some little inaccuracies here and there, like this one, when Alice describes what it's like when Mary finally finds the secret garden: "The moment we'd both been waiting for since we began the book, the moment when Mary finally found the entrance and saw the garden for the first time, finally came. We turned the page and there it was, suddenly, in all its green and overgrown glory." I actually had to go find my copy of The Secret Garden and check my memory against Alice's because I didn't remember anything green about Mary's first encounter with the garden, and sure enough, Mary actually wonders if anything is actually still alive in it because it all looks so brown and dead. I don't know why that bothered me so much--maybe because it seems like something an editor should have easily caught or maybe like something Alice herself should have remembered. But the result was that I distrusted references to other books I wasn't as familiar with. Alice's dad is a complex character: quirky but down-to-earth; loving but not affectionate; creative but responsible. He reminded me a lot of my sister-in-law's father, who seems to share many of the same traits. And I thought Alice found really wonderful ways to showcase all sides of his personality so that by the end of the book, I really felt like I knew him. "My father will not lie, so he tries to say the best possible thing that is also the truth. He doesn't realize that this is often worse than just saying what he thinks as nicely as possible. I was used to it and accepted his comments with a shrug, as I did now, but he wasn't always so lucky. Once, a friend of his, made him cookies for his birthday and he accidentally started an argument by saying, when she asked what he thought of them, 'I can honestly say that every one of those cookies has chocolate chips in it.'" "Somehow, my spot had gone for years without mention. Pulling back drew sudden attention to it and made us both think, I assume, how strange it was that the tradition had even last that long. It was something neither of us had ever really considered, and now that we were thinking about it, it seemed awkward and forced, even though it never had been. It would be now." And that night ended the physical closeness, which sort of broke my heart. I also loved the way her dad would edit out words or phrases or entire sections of books he deemed inappropriate or uncomfortable (he rehearsed every night before reading to Alice). The funniest one was when they were reading Dicey's Song, and he suddenly started turning pages quite rapidly, and the conversation with the grandmother became noticeably curt and vague. Just go read that chapter for yourself. You definitely won't be disappointed. 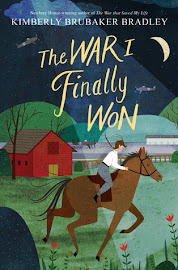 But the reason I really loved this book was just because, at the heart of it, it is all about the power reading aloud has to build relationships, teach us things, and carve out those quiet moments to just be together. I hope that I can continue to read with my boys as they grow older because, at least right now, that is my favorite part of each day. Alice said, "The Streak could be embarrassing in the right (or wrong) context, but more than anything, it was hard to explain." This book is the explanation, and it is wonderful.